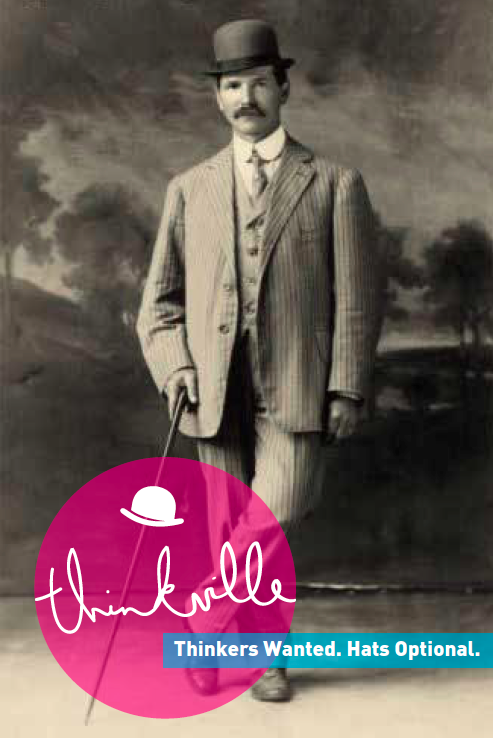 Thinkville, a Detroit City/Place Branding Campaign Proposal, pre-Opportunity Detroit. 100% design from the big idea to implementation in usage mocks. This is still quite possibly my biggest idea. 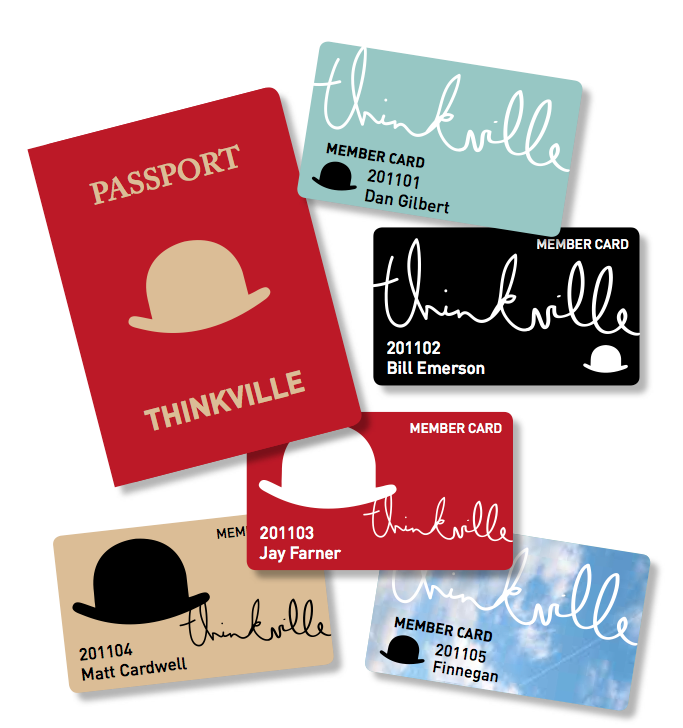 Dreaming up the idea of Thinkville and the place it could become was so magical, that I truly looked forward to working on this every day. There were no right or wrong ideas, only the mighty ask of "What If?" If Detroit was to become a city of Doers, it first had to become a city of Thinkers. 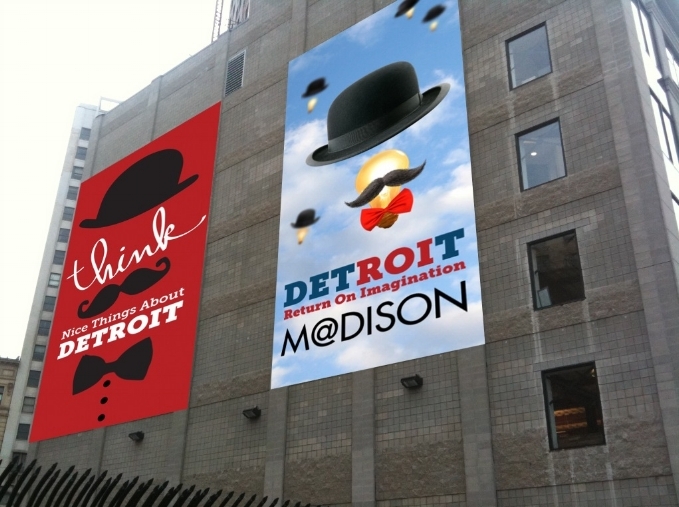 At one point, I had planned ahead nearly a year out for Thinkville-related events and design elements to be implemented around downtown Detroit. Thinkville was going to be massive! I really thought it was going to happen and that this would be our version of I Love NY. It was so close! I'm still hopeful that one day it will be revived, but I realize it's less likely as time goes on. Eventually, the Opportunity Detroit campaign came about and still exists (I think?) to this day, though it's not used nearly the way it was upon launch. I feel like some Thinkville ideas may have influenced Opportunity Detroit, but I wasn't involved to know for sure. 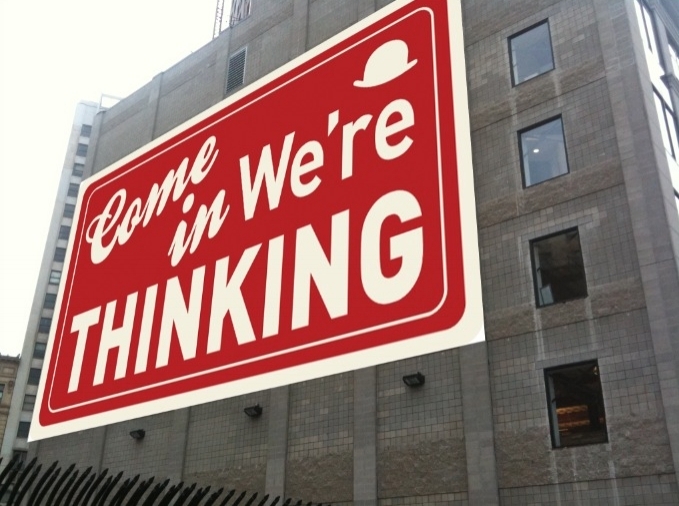 There was a giant "Thinkers Are Coming" banner that hung on the Chase Building that was born at the same time as Thinkville, but that's the only real thing that made it public. The Quicken Loans "What If?" Thanksgiving Day Parade Float was the final resting place for the big idea of Thinkville and the lofty ask of "What If?" The float lived on to see 4 parades, so not too shabby for an exiled idea. I was heavily influenced by René Magritte in this phase, so a nod to his bowler hat and clouds. Need Bold Place Branding Design?